From Our Hearts: There are so many wonderful words we could use to praise this vendor; kind, beautiful, worthy, inspiring – just to name a few. If you haven’t been to their shop, go there now! So many gorgeous dresses in every size and style just waiting for you to take home and pass the love on to someone in need. Bonus: The girls there are just as lovely as the gowns. How They Stand Out: We are unlike tradition bridal stores in that we resell “donated” wedding dresses! We are a bridal store that raises funds for charity through recycling wedding dresses! 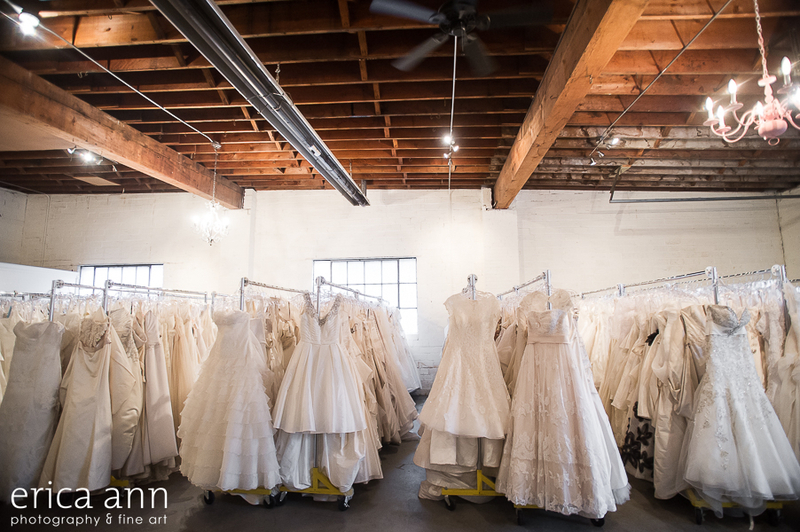 Since we receive wedding dresses from brides, bridal stores, designers and manufacturers from around the country, our inventory is unique, wide ranging and constantly changes as we receive new dresses daily! You won’t find our dresses anywhere else in Oregon! A lot of people have a misconception that our wedding dresses are all “used” but more than 50% of our wedding dresses are discontinued and overstock samples! Piece of Advice: When shopping for a wedding dress, try on lots of different styles, even silhouettes you’re not considering. Many brides may get stuck on an image in their head about what their wedding dress will look like. We meet so many brides who end up buying a wedding dress that’s completely different from what they imagined! Plus, “go bigger” – wedding dresses run small! We don’t have duplicates so it’s worth shopping lots of different sizes as you’ll have more options to choose from! And One More Thing: Our inventory changes daily, so if brides don’t find exactly what they are looking for during their first trip into our bridal store, we recommend returning a few months later! Since you “buy off the rack” its all about timing! We may not have your wedding dress during your first visit, but we may have it the next time you come in! From Their Hearts: We love working with others in the wedding industry and highlighting wedding resources that are doing things a little different, like us! What a Deal! : Show this to get an extra 10% off your wedding dress!